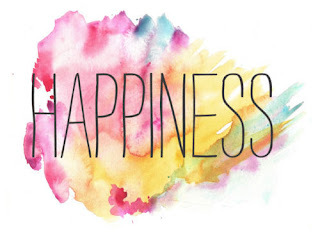 Happiness starts with YOU. Only YOU are responsible for your own happiness. No other person can make YOU happy unless and until YOU choose to be happy. You should always put your happiness at priority. Nothing wrong in it. It is not a selfish behavior. If you are not happy, you can not make your family or friends happy. Only a happy and content person can make people around them happy. But of course, your happiness should not be a reason for others pain or it should not hurt someone else. Like playing loud music makes you happy, but it should not disturb others as well. So be careful about that. Definition of happiness varies from person to person. We all have different definition of happiness. One thing which make me happy, does not necessarily make others happy too. Like for ladies doing shopping, being with friends and laughing with their girls gang make them very very happy....Right ladies ? However, men might like to play some sports, watching TV, or playing with theirs kids....Right ? Things that makes us happy will change with time as well. Like things that used to make us happy earlier, may not do the same now. If I mention very specifically for me then, these days, for me happiness is writing an articles, getting feedback on my article from my readers, and get a new reader for my blog. Writing an article gives me immense pleasure and feeling of satisfaction, since I am able to showcase my thoughts and things that I believe. Writing gives me my own time to think, seat and relax. Its like meditation for me. For me its a feeling of entering in a new world of thoughts and coming back from it to my regular life. The way I have found my happiness in writing these days, you must have your own ways of happiness. I would love to know yours happiness. Feel free to share yours way of happiness here in my blogs comment section. We can find happiness in many small things of life. I have my own checklist about how to be happy. Trust me, my checklist will help you as well to be happy and content in your routine life. Best way to stay happy is to NOT COMPARE. If we compare our life to others, or compare our kids and family members to others, then we become very anxious and jealous. We end up ruin our own happiness. We become negative, and lose the ability to see what good we have in our life and how precious it is. We may start pressurizing our kid or family member to become like someone else, and by doing this, we take their peace of mid and confidence as well. They might start loosing their self esteem. What we have in our life is due to our hard work and luck and we must appreciate it. By looking at someone's life from far away, may make you feel that its perfect, but we don't know how much sacrifice, hard work are there to reach to that level. From far away, we don't know what pain they have in their life. So never ever compare your life and loved once with other. Every one have their own nature, skills, and beauty. Sorry and thank you are very small words, but it has lot more impact if we say it when we actually mean it. If you are sorry then say it, it will not make you small, instead it will take all guilt and heaviness from your heart and mind. You will feel like free bird. You can move on with that bad incidence with free mind. On the other hand person, to whom you say sorry, also can be healed. He/She might be suffering from pain of bad incidence with you, intentionally or unintentionally. If you genuinely say sorry and listen to other person, then his/her mind will also be calm. And he/she can respect you more. You both have better understanding towards each other. When you say thank you, other person will feel more appreciated. He/She will feel happy that his/her efforts are not gone unnoticed. Be thankful for any small work done by others for your comfort. Let it be person who have cleaned your table at restaurant, or a office boy who ease your work at office, or your mother/wife who is at your duty every time. Do practice to say thank you often on such incidence and in your regular life. And when you say it, you must actually mean it. People around you will feel appreciated and happy. They will not feel burden of their work, rather they will have more energy to do their work. If people around you are happy, then they will make you happy as well and more over to it, you will able to maintain your happiness. Trust me, with this, you will feel more content and happy. When we praise some good work or some good efforts, other person feel motivated and will have new energy to that work. They will have assurance that what they are doing is good and they might have proper direction towards it. You also might have felt that, if someone praise your work, you feel motivated. If you are confuse then, you might have got direction from others praise. You might have notice that many times, only misunderstanding have ruined your relation between you and your friend or you and your spouse or you and your family member. Misunderstanding only created because we do not communicate, and started to assume or started to believe what others are saying. Sometimes for very silly thing we start assuming a lot and slowly our mind start to believe what we assume. It create lot distance between you and your spouse. Instead of assuming, we should communicate or talk to our spouse. You will realize that what you was assuming or thinking was not in his/her mind. In other relations as well, do not believe on others opinion or what others are saying, have your own truth and understanding with that person by proper communication. Trust me you will save on lot of relation by proper communication. Animals can't have verbal communication, but they always have better understanding between them by their feelings. We are bless that god has gifted us that we can speak, and listen to each other. So we should have more deeper understanding between us. Always be thankful for what you are and what you have achieved. Appreciate the things and person you have in your life. Be thankful for your good health, lovely kids and spouse, loving parents, friends, job, house and lot more....Gratitude towards these will make you feel content. Eventually, you will become calm and happy. You will become more positive towards life. 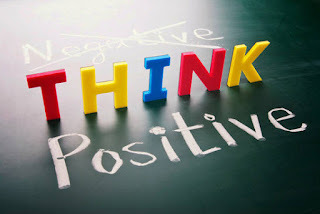 Positive mind attract more positive situations in daily life. If you have habit of comparing your life with others, than gratitude will make you understand that you have lot more in your life than you think. YOU might be wife/mother or husband/father at home. So YOU are the pillar of your family. YOU does all the possible things to take care of your family and make sure that all family members are happy. YOU have to take care that your children are happy, healthy. YOU have to take care of elders as well. So your happiness is priority, because only happy YOU, will make all family members happy and satisfied. If you are happy, then only, you will play your role with more affection, love. So do the things that makes you happy. It can be cooking, baking, writing, reading, singing, listen to music, some sports, meditation, yoga anything. Take out little time for your self from your busy routine, and do the things that makes YOU happy. Very important to take break once a week and do the things which you like very much. Our life has become very monotonous by following same routine every day. We have become very busy in our work, and in our kids studies. Only weekend is our whole and sole ray of light for doing something that is other than routine life. That too once we are done with some important task that have been waiting for us to be completed since whole week. After that we can do things which makes us happy or entertain us. Like go for shopping, go to watch movie, go to park with kids, play some sports etc... Apart from these activity, socialize with your friends and relatives to get change from your same routine. Try to meet your friends and relatives once in a month, if possible. This will change our mind from same daily routine and fill us with new energy to follow same routine next week. You might have observed that in daily life we give lot energy by saying some unnecessary things, than the necessary one. Sometimes after some incidence, we realize that, situation was not worth of our response. If I would have silent at that time, that could have saved my precious energy, time and relation. Not every situation deserve our reaction. Try to listen more that you say. That will help you understand others' point of view very well. Silence in your mind is also very important. You must have notice that we might be able to keep silence with our words, but our mind always thinking on each and every matters. Slowly this thinking will turn into overthinking and then it turn into negative thinking. Most of the time, what we think, is never happens. We unnecessarily give lot energy to very silly matters. To avoid that, train your mind to stay silent and do not start your thinking process for each and every matter that occur in your day to day life. You will feel more relax by this. Meditation and yoga will help you to control the thinking process of your mind. You might have notice that some people always speak negative or they do not have ability to see positive in any situation. Just because they think negative, they speak negative. And their negative talk can fill your mind with negative thoughts. After conversation with them you may feel very negative about life. Or their presence only may give you negative vibes. So try to stay away from such people and their negative talk, so that you can maintain your happiness and pleasant mood. We all know importance of good friends. Good friends will always give us new energy to life. Their presence will change our mood to good, if we are in bad mood. They listen to us, and our half the problem get solved by this only. Just 5 minutes conversation with them make our bad mood to good mood. So keep your circle positive, with good and positive people. This world is full of different people. Jealousy and envy towards your happiness will be there. We have to accept that. Our action can't make each and every one happy. It is fine. This is not our task to make each and every one happy. Don't try to please every one. Be yourself. And don't be sorry for what you are. We all make mistake in our life. Some are small, some are big one. But that should not hold back our present life. Just learn from your mistake. Never be so harsh with yourself due to your mistake. Consider it one more addition to your experience. Forgive yourself for your past mistake. Forgive others for their mistake, whether they are sorry or not for their mistake. So that you can leave all grudges and anger behind. Make peace with your past, so that your present become beautiful. These days our digital world have acquired lot of time in our real world. If you calculate at end of the day, you will realize that you have given lot of time to it. That too on expense of precious moment that could have spent with family. Yes of course ...we are dependent on facility of digital world. And digital world is making our life so much easy. But we should be able to draw a line between our real world and digital world. So that we can have best of digital world and cherish most of the precious moments from our real world. So that we can enjoy our life at fullest. We can again live our own childhood by giving undivided attention to child. Listen to our elders with full attention, so that their experience can help us. And our elders do not feel left out in this whole new era of digital world. We can spend some good quality time with our spouse to make our bond and understanding stronger. After all at the end you two will be there to look after each others. We can give time to our friends when they need it most. Same way they gave us time always, when we needed. Memories last for lifetime. Plan some trip with your family. Have some weekend get together with your friends. When you look back to it in future, you will have smile on your face. You will feel content within, that you have enjoyed your life fully. These are the checklist, I believe and follow in my life. I am sure you have yours own checklist to be happy. I love to know yours checklist of happiness. Feel free to share it here at my blogs comments section. Hope to see you soon with my next article. Till that time, don't worry, Be Happy !!! Nice article.. keep writing more and more..